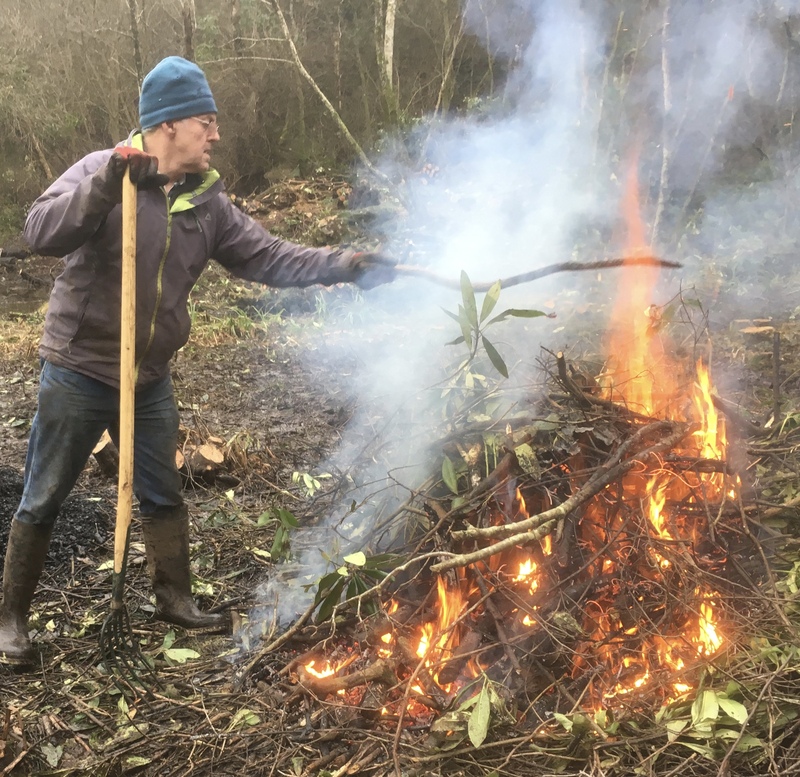 This winter has seen the Offwell woodlands volunteers working in the wetlands area of the woods. It is 25 years since the wetlands were first excavated. 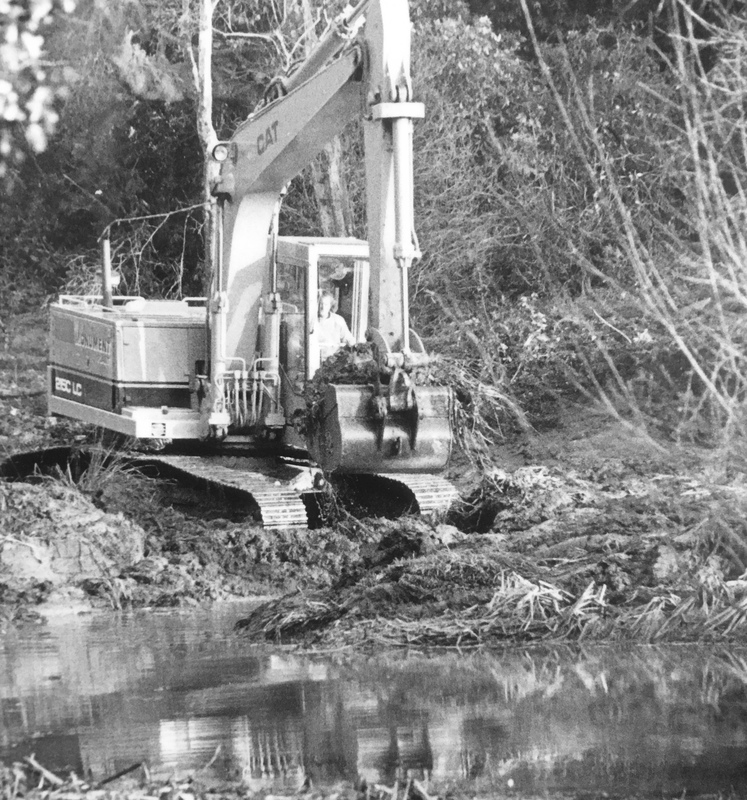 Tracked machines were used (see photo) and a large are of open water was created along with a bird watching hide constructed from trees harvested from the site. The area became the annual breeding site for toads from all around the area and was the subject of live BBC coverage showing the spawning. Over the years the site has been managed to maintain open water, but in the last 10 years the bird hide collapsed and growth of alder willow and reed resulted in the area being reduced to just a metre of open water. The current work has seen a great improvement to the site. 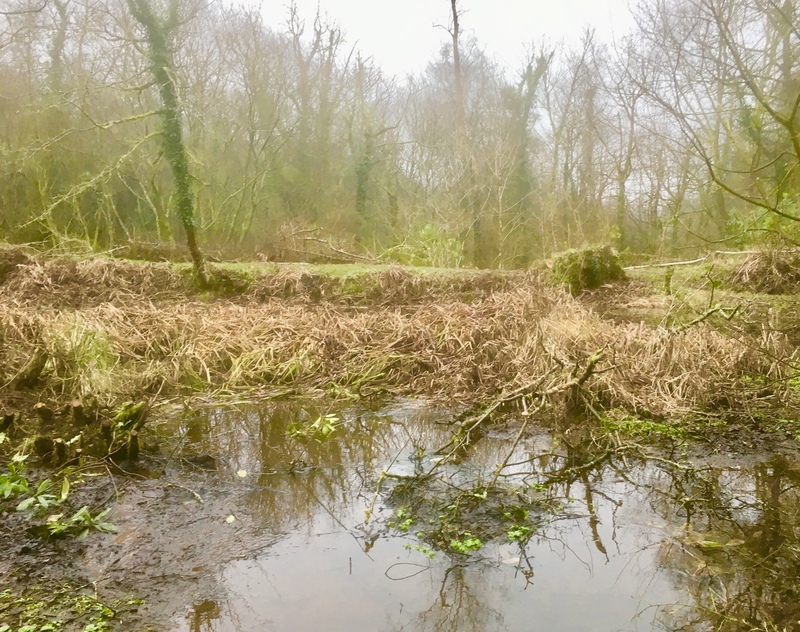 Trees have been removed from the earth dam to maintain its structural integrity, invasive rhododendron has been reduced, large willows and alders have been removed to increase light in the area and willow and burred have been removed to create a larger area of open water. Our plan is to eventually have the area consisting of a third open water, a third marsh and a third wet woodland. We will be shortly be stopping work to allow for the regrowth of plant life and to allow for amphibians breeding. A big thank you to our dedicated team of volunteers who have taken on this tremendous task with enthusiasm and great humour. We also have to thank the team from the Axe Woods Cooperative who have helped us with chainsaw work.